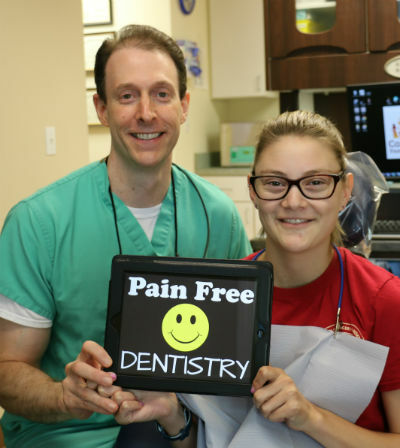 As a dental office which specializes in treating nervous and/or phobic patients, we know firsthand that certain dental procedures are more stressful than others. For many, the mere thought of getting a root canal performed while being awake is enough to make some patients become sweaty, nervous and sometimes downright nauseous! Fortunately, we have a solution. And that solution is IV conscious sedation (also called IV sedation dentistry or twilight sedation). Dr. Nick Calcaterra is one of only a few general dentists in all of Connecticut who holds the specialized license to do this. In a root canal, nerve tissue is removed and replaced with white filling material. Of all the procedures in dentistry, a root canal is often the one which most patients fear the most. In fact, even President Obama joked about root canals once (see the 37 second mark). After all, having a live nerve removed from your tooth doesn’t sound very fun, doesn’t it? Root canal treatment (also called endodontic therapy) is often associated with pain. And often times, patients needing the procedure are in pain from an inflamed or exposed tooth nerve. They frequently say that tooth nerve pain is the worst pain they have ever experienced. That severe pain can lead to stress, which can then cause dental anxiety. So we then have a perfect storm: a patient who is already anxious and/or phobic about dental treatment who is also in pain from a tooth. You combine all these factors, and then the thought of being sedated into a twilight state with no memory and no pain sounds pretty appealing. Dr. Nick Calcaterra has completed hundreds of endodontic procedures, with or without sedation. Sedating patients for root canals is a routine procedure for our office. We are experts in IV sedation for root canal treatment. Oral Surgeons: Oral surgeons do IV sedation all the time in their respective offices. However, endodontic treatment is not surgery, and as a result, oral surgeons do not do root canals. The last time an oral surgeon did this procedure was when he/she was in dental school! So that is not an option. 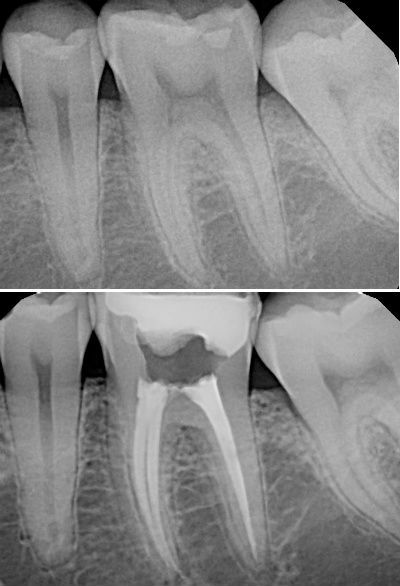 Endodontists: Endodontists are specialists in doing root canals and they are very good at them! However, very few endodontists completed the extra training to do conscious sedation. As of February 2019, a search of the Connecticut licensing database shows that there are no endodontists in Connecticut with a sedation permit. So the ONLY way to get a root canal performed under sedation by an endodontist is for an outside anesthesiologist to come to the office. General Dentist with Sedation License: This is what we are. 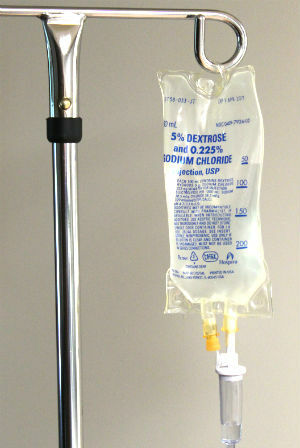 Dr. Nick Calcaterra completed the extensive training to perform IV sedation in his office. And he also has extensive experience performing root canal treatment with or without sedation. As a result, he is able to do endodontic procedures in his office with patients being sedated without the need (and extra expense) of bringing in an anesthesia provider. At this point, it should make sense that our office attracts patients from all over Connecticut (and some from New York state, Rhode Island, and Massachusetts) to have endodontic treatment performed with IV conscious sedation. Are you nervous about dental treatment? Do you wish to be sedated for a root canal, extractions, or other procedures? If yes, call our office at (203) 799 – 2929 or visit this page to request an appointment.